Checked by MF following Sophie Catley; Sub-classification added: 'Aesica' following source record; drawing ref. added. Hattatt, R., 1982 Ancient and Romano-British brooches Sherborne: Dorset Publishing p.310,1478. 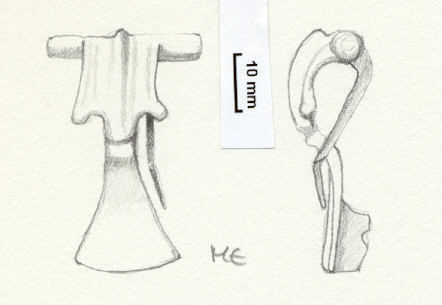 Head of a trumpet brooch, hinged, pin preserved, chain-loop broken off.